Who is the Bradford City king of assists? 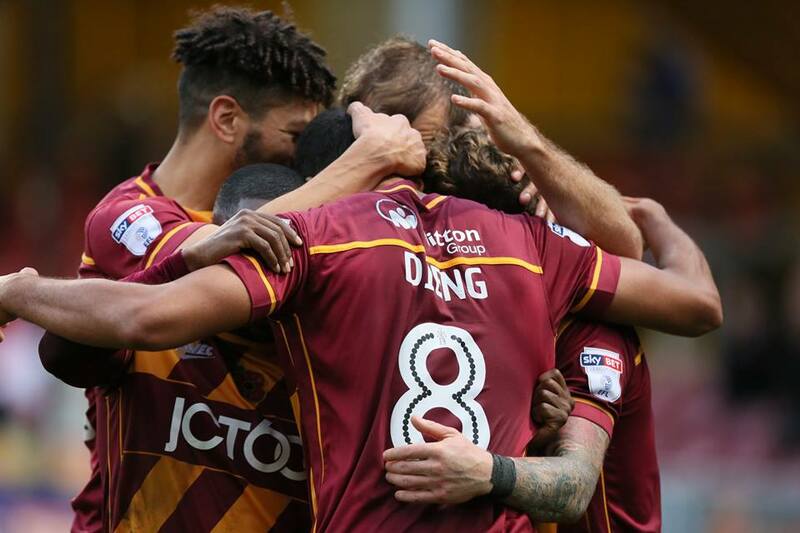 Home › Opinion › Who is the Bradford City king of assists? The methodology is different but the results are largely the same. Under Stuart McCall, Bradford City’s style of football is more pleasing on the eye than the ultra pragmatism of Phil Parkinson’s final season. But after 21 games the Bantams have only scored four more goals than at this stage a year ago. From being the 19th-lowest scorers in League One after 21 games of 2015/16, City are the 16th best so far this year. Yet when it comes to attempts at goal, City have the sixth-best record in League One. They’re averaging 13.33 shots a game, which is a striking improvement on last season’s average of 10.63 (12th best in the league). 13.33 is also the best average that City have achieved in a season since Footycharts.co.uk records began in 2000. They’re also only behind Sheffield United in how many corners they’ve won this season (averaging 6.81 per game). These figures show that McCall’s charges are a more creative bunch, laying on more opportunities for strikers compared to the scraps that last year’s forward line were at times left to feed on. This fuels the January striker debate and the challenges that come with it – sign a Billy Sharp type in the window and City could be flying – but it at least shows that a lot of the tools are in place to really make it work. How creative is this Bradford City team? One of the main ways we judge the creativity of a player is how many assists they achieve – that is setting up a goal for someone. It’s not fool-proof measurement. Sometimes a player will do some great work and pass the ball onto someone else who provides the goal assist, and then that player doesn’t get the credit. It’s also not the only way to judge a player’s creativity. James Meredith has relatively few assists. This is something for the Aussie to work on improving, but you would hardly say he is not a creative part of the team. Nevertheless over time assists can tell us a lot about a player. To look at how the current crop compare in historical terms, I’ve compiled a list of the top City goal assisters going back to the summer of 2007 (when Stuart McCall took over the first time). These are based on official Football League figures, with a little bit of help from WOAP’s resident stats-man, Tim Penfold. A note of caution on James Hanson – as the club’s longest serving player over this period, with more than 300 appearances, you’d expect him to have set a few goals up. That said, 34 Hanson assists is a notable total and perhaps worth introducing into future debates about his worth. Third-place Gary Jones is also interesting. He will be long remembered for being the driving force of the teams he captained, but he was clearly a very creative player too. That Joe Colbeck makes the top five is a big surprise and shows that he was once quite a good player for us. Most of his assists occurred during McCall’s first season, where he was at the height of his confidence and scooped the player of the season award. Joe’s biggest problem was always his confidence. When he was flying, he was flying. If he’d have kept up that 2008 form, his career would have been totally different. Just behind Kyel Reid and Billy Clarke is Nicky Law, with his 15 assists made up of his three separate spells at the club. In good ways and bad, the 2015/16 campaign should be remembered with the tag line “The Tony McMahon season”. Playing a right back on the right wing was the biggest signpost of the pragmatic approach, but the exceptional points tally and play off finish more than justified the approach. And McMahon was vital in contributing goals for the low risk and reward City side – he set up a whopping 17. Gary Jones and James Hanson also did well creatively over 2012/13. Jon Stead a huge player in the 2014/15 Chelsea cup season. But how can we quantify these records better? Well, when it comes to strikers’ value we talk about their goals-to-game ratio, so how about an assist-to-game ratio. *Includes assists and appearances they achieved before before 2007, to give true reflection of their average. A quick nod of appreciation to James O’Brien, who in his one season at the club (2009/10) set up seven goals and scored two himself, from 28 games. What a shame the young midfielder decided his future lay back in Ireland at the end of that season. With a ratio of setting up a goal every 3.4 games, Tony McMahon is the clear winner in terms of assist record. The 19 he has set up are not just the 17 from right midfield last year, but two as right back at the start of this season. Stephen Darby (whose own assist ratio is a goal every 33 games) will be anxious about McMahon’s return to fitness. The former Liverpool man has looked better going forward of late, but McMahon clearly offers more creativity. But what’s interesting looking at the table is just how many of the current crop are amongst the best Bradford City goal assisters since 2007. McMahon, Law, Hanson, Mark Marshall, Billy Clarke and Filipe Morais. They have good records of setting up team mates for goals. And this is despite the club’s overall goal return remaining a big concern. If McCall and Greg Abbott can find – and afford – the right striker in January, the rest of the team appears ready to feed it. A top striker would thrive on the service they’d receive from this Bradford City side. It will not be easy to find the right person, but it could make all the difference in elevating a season of huge promise into a season of huge success. A surprise and a non surprise for me. No surprise that Hanson has contributed so many assists, as I firmly believe his value to the team extends beyond his strike rate. Even allowing for his longevity in the team and the fact that his part reship with Wells may represent the high water line in the number of assists he, without question , has a superb contribution to the team. Recently against Rochdale he was instrumental in a defender getting a booking which later became a sending off. He scored and the sending off led to another goal. BUT before we scored he won two defensive headers upon which the game hinted. Collect is a surprise as I never rated him at all. Before I make my point, great article. Love stat based pieces. But can I question how James Hanson has contributed to so many assists. He gets one every ten games. As someone who is, I’m constantly told, a target man and foil for the other striker, that’s poor. Three words: Reece Webb Foster. He could be our fox in the box. Despite a recent downturn in results, we have been playing some great football this season and are doing far better than I expected at the beginning of the season. If we had started slowly and picked up more recently, like Sheffield United, I think that less people would be clamouring to sign a goalscorer in January. I’d take a play off spot come the end of the season. Meredith class player and very under rated. Does not get the recognition he deserves.